Our new challenge: C.R.A.F.T. Challenge 309 – 30th of April – Add a Charm/Use Metal. I was doing some Copic colouring the other day and decided to make a non Christmas/winter stamp into one. I was also playing around with some of my favourite colours. I love the aqua blues, and they look great with pinks, purples, greens, and blues. I coloured Bugaboo’s – Beautiful Fairy in blue tones, for a “cool” winter feel. I then cut her out using Spellbinder’s - A2 Filigree Delight, and backed it using a similar blue toned paper. To finish my card, I added a sentiment I cut out from paper from my stash, added three snowflakes, and topped the sentiment with a bronze bow charm. I think she makes a beautiful “snow fairy”. 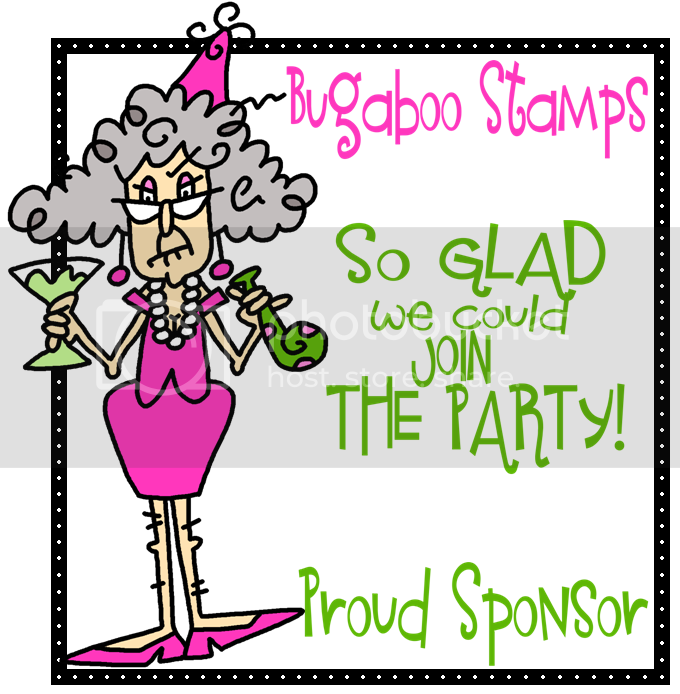 Bugaboo Stamps is one of my all time favorite digi stamp companies. They are sponsoring this challenge, please support them.They post a freebie stamp every Friday, and new works every Tuesday. Our Challenge runs from April 30th until May 6th. 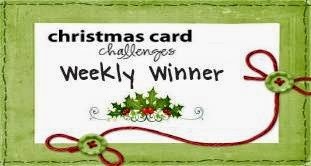 UPDATE: I won prize from Holly Jolly Christmas Challenge - Winner of 3 Free Images from Sammie Stamps. I just received the Stampin’ Up Stippled Blossoms and made up a couple a cards and matching envelopes. I got my design ideas from You Tuber’s Brandys Cards and Illeana29. For the envelopes, I started by masking off the envelop front so no stamping overage would occur. Using the detailed large rose stamp I inked it and rotated the stamp each time. I finished by stamping a single rose on the front. Card 1 – I repeated the same large rose stamping over a 4 x 5.25 panel. Next I embossed a white strip and adhered across the front panel. For the sentiment I used a stamp and matching label die by JustRite. Card 2 – I used the two stamp combo to create the flowers and leaves. On a separate piece of card stock, I stamped flowers and leaves, that I then fussy cut out and layered onto the first stamped roses to add dimension. Finally I layered the front panrl with matching card stock and adhered on the card front. This week’s C.R.A.F.T Challenge is to make your own embellishments. I currently am on a kick making Christmas cards as I have 200 to make by December. I chose to make a fancy sentiment card using one of the fabulous sentiments from our Sponsor Sweet ‘n Sassy Stamps - Jesus is the Reason Christmas Sentiments Digital Stamp Set. There are 9 different sentiments – perfect for both the inside, or in this case, outside of your card. Please join us. The challenge runs from April 23rd to April 29th. Challenge 57 at The Glory of Christmas is to Use a digi stamp. I love digi stamps because you can resize to fit almost anything. To start, I coloured my Holly Framed Penguin stamp by Dilly Beans with Copic markers. Next using my SSS – Holiday Frames Die, I cut out the frame and backed it with my image, and also added piece of red card stock behind the word – Christmas. I layered it on some Christmas paper from my stash. Our challenge runs from April 19 until May 1st. Please join us! This challenges runs from April 16th until April 22nd. Please join us! Thank you to our Sponsor Stitchy Bear’s Digi Outlet. Please support our sponsors, without them, we wouldn’t be able to offer our wonderful prizes.